If you have been injured, or a loved one has died, because of someone else's negligence or mistakes, choose a firm with experience handling cases like yours. We can help you seek compensation and justice for the harms caused to you. Our attorneys have the experience and the resources needed to handle very complex cases. Call us at 312-332-2872 and one of our medical malpractice attorneys will be happy to discuss your situation and all of your legal options with you. All initial calls are free and confidential. Please note that our lawyers work on a contingency basis, which means that you will pay nothing unless we successfully resolve your case so there is no risk in calling us to investigate your possible claim. Our services are offered on a contingency fee basis, meaning you will not pay unless or until we recover compensation for you. Our attorneys have had considerable success representing seriously injured clients in all types of medical malpractice lawsuits . Our firm represents clients in claims and lawsuits that arise when people are injured by careless or intentional acts of a doctor, nurse, psychiatrist, dentist, chiropractor, podiatrist, hospital, or other healthcare provider. When these actions cause an injury to another person (but the actions do not rise to the level of a crime), they are said to be a "tort," or civil wrong, which can provide the basis for a lawsuit. When someone is determined to be legally responsible for injuring someone else, they may be made to pay the injured person compensatory damages. Compensatory damages attempt to put an injured person back in the position he or she was in before being injured. In some cases, punitive damages are also awarded in these lawsuits. Punitive damages are intended to punish wrongdoers and prevent them from harming others. Our firm handles a variety of medical malpractice claims for clients in Chicago and throughout the State of Illinois, including those arising out of: Missed Diagnosis Delayed Diagnosis Lack of Informed Consent Birth Injuries Healthcare Provider Errors Misread Xray, Slides, and Ultrasounds Medical Device Errors Medication Errors/ Pharmaceutical Errors Spinal Cord Injuries Dental Malpractice Nursing Home Abuse and Neglect Injuries suffered as a result of medical malpractice can be severe and life altering. Our firm understands that your immediate goals after going through such trauma are to get your medical bills paid and covered, make sure you do not suffer financially through any lost wages, and make sure your insurance company will pay for future treatment relating to your injury. Our experienced Chicago personal injury lawyers will discuss your situation and go over the options available to you, as well as work with insurance companies and other parties involved in your case to make sure all your needs are handled quickly and appropriately. If you or a loved one has been injured or has died due to a healthcare provider's mistakes, it is important to take action. Complete our online case evaluation form or call our Chicago law offices toll-free 877-374-1417 or 312-332-2872 for a free and confidential case evaluation over the phone. One of our attorneys will be happy to discuss your legal options with you, and you will never pay fees unless we sucessfully resolve your case. Levin & Perconti is nationally known for the firm's work representing families in nursing home abuse and neglect lawsuits. We are pioneers in this highly-specialized field of law and have recovered over $160 million for our clients in these cases. When you place a loved one in the care of a nursing home, you expect that their needs will be met and that they be cared for. Unfortunately, negligence and outright elder abuse in nursing homes are all too common. Although many state and federal regulations, such as the Illinois Nursing Home Care Act , have been established to protect the elderly in these settings, gross violations occur every single day, tragically compromising the health, well-being and dignity of some of our society's most vulnerable members. Nursing home abuse and negligence comes in many different forms. We represent injured nursing home residents and the families of those wrongfully killed in cases involving: Bed Sores, Pressure Sores, Decubitus Ulcers Sepsis Wandering and Elopement Falls Physical or Sexual Assault or Abuse Physical or Chemical Restraints Verbal Abuse Malnutrition or Dehydration Medication Errors Choking Clogged Breathing Tubes Burn injuries Elder abuse Levin & Perconti is one of the nation's most recognized and respected leaders in the area of nursing home negligence litigation. Both in and out of the courtroom, our attorneys are leading the charge to create an environment where substandard care will not be tolerated. Our attorneys have obtained over $100 million in nursing home verdicts and settlements for neglected residents and their families, including a record-setting $3 million bed sore settlement. If you believe that a loved one may be the victim of nursing home neglect or abuse in Chicago or throughout Illinois, you should take action quickly and contact us online or call us at 877-374-1417 or 312-332-2872 to set up a free consultation with an experienced Chicago injury lawyer . Our attorneys have extensive experience handling all types of personal injury, wrongful death, medical malpractice and nursing home cases. As a result of our experience, we have developed an efficient process for successfully prosecuting our clients cases. We also have the resources to handle even the most complex matters. In the area of nursing home litigation, we are nationally known for our work representing victims of abuse and neglect. Levin & Perconti was one of the first firms in the country to represent elderly victims in nursing home cases, and has since represented thousands throughout Illinois. Levin & Perconti employees 24 full-time medical malpractice attorneys and a ten-person support staff, all of whom work to handle your case in the most efficient manner possible. In addition to our staff, we have a nationwide network of experts, consultants and case support professionals who help us successfully litigate cases. 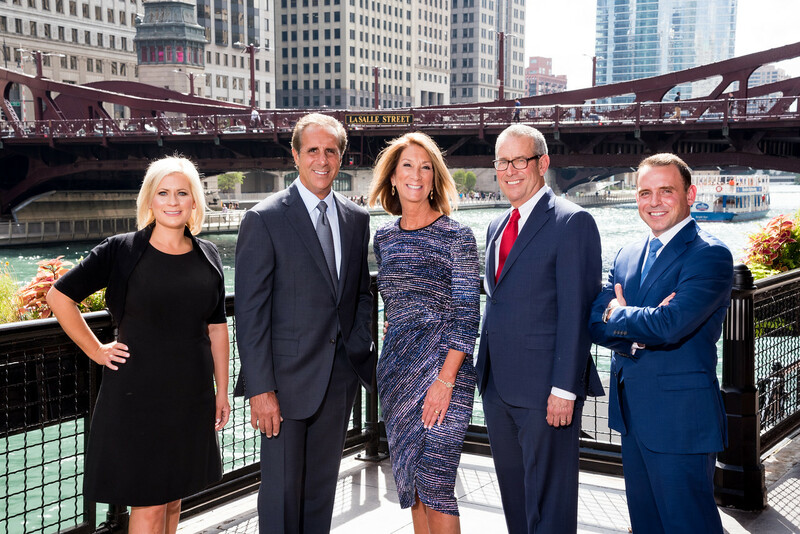 Aside from our outstanding team, we are proud to have accomplished over $520 million in verdicts and settlements for our clients, including over $160 million in Illinois elder abuse lawsuits . This includes a number of record verdicts and settlements throughout Illinois. Steven M. Levin is a nationally renowned trial lawyer with over 30 years of experience representing seriously injured individuals and the families of those wrongfully killed. Steve and John Perconti founded Levin & Perconti in 1992, and since then, the firm has recovered over $400 million in verdicts and settlements for clients. Steve is frequently interviewed by local and national television news outlets and publications about his work on behalf of nursing home residents. His vigilance has raised awareness surrounding the epidemic of poor care and abuse in nursing homes. Steve is on the Leadership Council of the National Consumer Voice for Quality Long-Term Care and actively involved in the American Association for Justice's Nursing Home Litigation Group. He also serves on the boards of the Illinois Trial Lawyers Association, the Decalogue Society and the Society of Trial Lawyers. Steve has received an AV rating from the Martindale-Hubbell American Law Directory, indicating preeminent legal ability and very high ethical standards. Year after year, his peers have chosen him as one of the top 5% of Illinois lawyers in his field through the Leading Lawyers Network, and he has also been named an Illinois Super Lawyer every year since 2005. 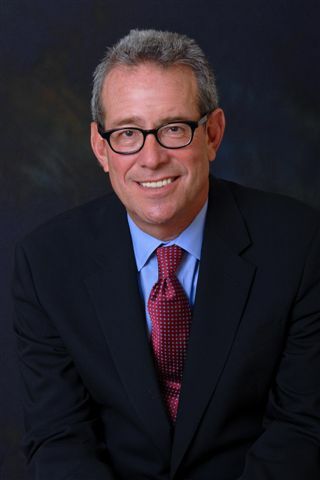 Additionally, he was recognized as one of the Top 100 Lawyers in Illinois as a member of The National Trial Lawyers, and was recently named as a Fellow of the Litigation Counsel of America.